I’m incredibly pleased to announce that I will be joining A Day of Champions tour across Australia. It’s an amazing event, with some truly inspiring speakers and attendees stand to learn some very important information that will directly affect their ability to achieve success and follow their dreams. The Event’s originator, Mike Tyson wasn’t always a success. To say he had humble beginnings is putting it mildly. The man who would eventually go on to become the greatest heavyweight champion of all time started out in poverty and was disadvantaged from birth. Of course, Tyson’s story goes far beyond him reaching up out of poverty and achieving international fame. Even in his professional career, he has known setbacks and failure. His boxing fame turned to infamy, trouble with the law, his money poured out, leaving him virtually penniless and friendless. Not content to view himself as the rest of the world did, as a failure – he pulled himself back up by reinventing himself and learning how to succeed in other ways. Today, Tyson’s regained success – out of the boxing ring and I encourage you to join me as this All Star cast shows you how you can take a hit and come back swinging! A Day of Champions is a once in a lifetime event – Tyson’s candid, almost explicit, revelations, anecdotes, self-deprecating humour and directness create an atmosphere both electrifying and educational. No one who attends will leave unchanged, so make sure you’re able to be a part of this amazing event. 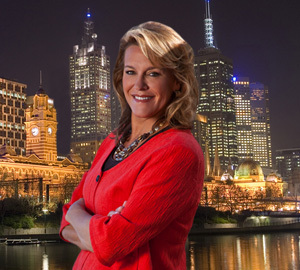 Loral Langemeier – Yours truly; bestselling author, entrepreneurial speaker and success coach. Willie Jolley – One of the top 5 most influential speakers in the world today.